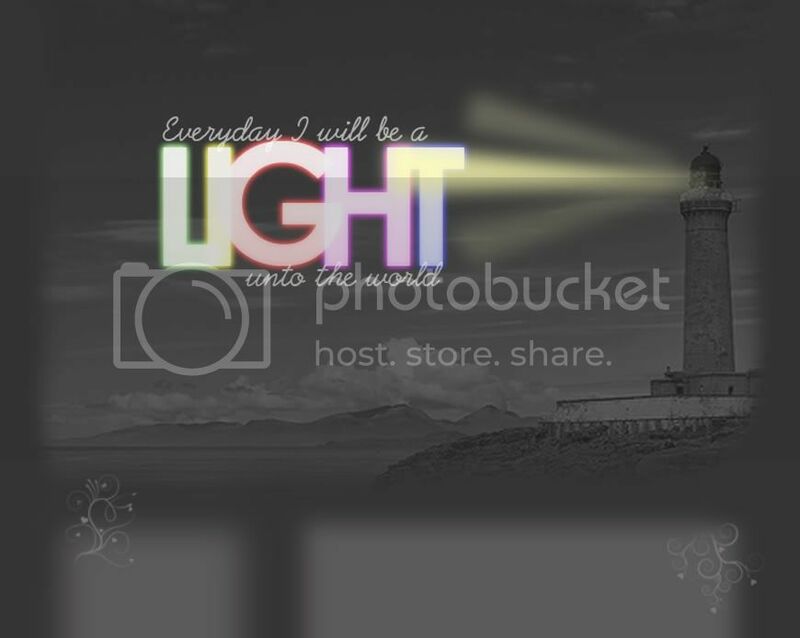 I will be a Light unto the world. because it will never change. Forgiveness is dismissing the blame. and understanding what we have learned. are in some way connected. "I forgive you, and I forgive myself. I hope you can do the same." The things we did wrong. We should look to the future instead. That are happening in the present. Will make our lives worthwhile. Of the ones around you. And you will get through life. But stick to your virtues. its beed long since i last blog...hmmm...have been shopping quite a lot this 2 weeks...hee...spent bout $200...but i manage to buy 2 pants,3 tops, 3 belts,2 watches and 2 pair of shoes...so think still quite worth it...hee...Minghui also gave me this very nice top...thank God for all the blessings from my friends...hee...getting ready for my new work le..
"You are the light of the world. let your light shine before men, that they may see your good deeds and praise your Father in heaven."